Ryan Leng is an independent technology consultant and auditor for corporations in computer systems involving hardware, software, networking, security, IT policy formulation and training. Originally trained in Computer Science and Economics, he has since worked in many fields relating to computer hardware integration, software design and engineering, surveillance systems, advertising, multimedia production, user-Interface engineering and graphic designs. Ryan approached bit-tech with his unpublished book on DDR technology a short while ago, and when we read it we were greatly impressed with the depth and attention to detail, as well as being able to convey complex ideas in an easy to understand manner. Whether you are adept in the knowledge of memory technology, it’s still an interesting read for a fundamental part of the PC’s architecture. We’ve cut his work up into several parts and this is the second article in the series. It covers Mobile/Compact DDR, Self-Refreshing technologies, Power Down modes and Chip Packaging technologies. For those that didn’t read Ryan’s first article on memory technology we highly recommend that you do before you go any further, as the information published in this article follows on from what was discussed there. The first article covers The Memory Construct, Topology and Memory Evolution, Single and Dual-Channel Memory Controllers, Latency, EMI Problems and GDDR, QDDR and XDR memory. 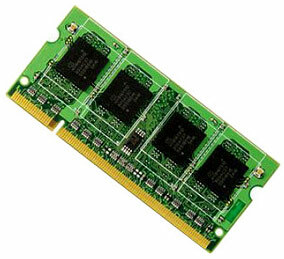 SO-DIMM is the most common type of mobile memory: the size is almost half that of a standard DIMM and the number of connection pins varies between generations. It is most commonly found in notebooks, embedded systems, printers and high-end networking equipment. There are other form factors for compact and mobile DDR, including Mini and Micro DIMM, and the difference are illustrated in the tables below. Mobile DDR such as those in the SO-DIMM form factor have some dynamic power regulation features to better help preserve battery life and keep power consumption to a minimum. These include Partial Array Self-Refresh (PASR), Temperature Compensated Self-Refresh (TCSR) and Deep Power Down (DPD). Mobile memory designers always have to constantly maintain a healthy power-versus-performance behaviour. Individual DRAM manufacturers may have proprietary power saving technologies as well, for example, Elpida Memory has a technique called Super Self-Refresh (SSR) that reduces DDR1 self-refreshing current by 95 percent. It is an enhancement of existing TCSR with error correction circuitry (ECC). Low power mobile DDR and standard DDR modules have other key differences: these include initialisation procedures, input-output differences and clocking characteristics. The key initialisation difference involves the command starting sequence, and the way standard DDR memory uses the Load Mode Register command to set the Delay-Locked Loop (DLL) for various parameters, including drive strengths. Due to power constraint on mobile DDR modules, the DLL circuitry which in used for aligning data to the clock edge is removed. This removal is one of the main reasons why systems using SO-DIMMs are usually a bit slower than their desktop counterparts. There are potential stability issues with SO-DIMM at the higher speeds that desktop DIMMs can reach, although with exceptions to some manufacturers whose implementations of high quality DDR ICs and PCBs can compensate for this. Before discussing other mobile DDR features, let’s take a look at the fundamental nature of DRAM Refreshing Technology. 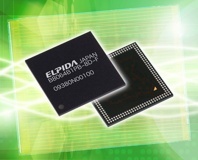 Memory specialist Elpida has announced the world's smallest LPDDR2 memory chip. There is a common DDR2 question about which is better - low latency 800MHz or medium-high latency 1,066MHz? To answer it, we dropped in some performance-value G.Skill Pi Black memory in a P45 board to find out. For those of your wanting to jump onto the DDR3 bandwagon and ensure they have enough memory for gaming, in this first part we take a look a three reasonably priced 4GB DDR3 kits ranging from 1,600MHz to 1,800MHz and see what's hot, what's fast and if it's good value.